Details supplied by Alistair Durie from Table of Contents. Subtitled Incorporating Best Story Magazine. Details supplied by Alistair Durie from Table of Contents. 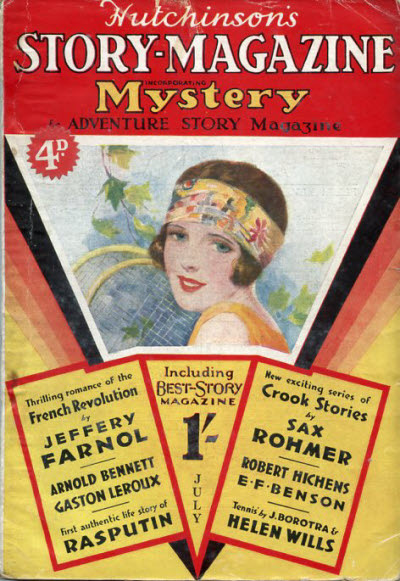 Title changed from Hutchinsons Magazine. 63 · The Mystery of the Four Husbands [Part 1 of 2; Capt. Michel] · Gaston Leroux · ss; translated from the French (Notolympe, 1924). Subtitled Incorporating Best Story, Adventure and Mystery Story Magazines. Details supplied by Alistair Durie from Table of Contents. 334 · The Mystery of the Four Husbands [Part 2 of 2; Capt. Michel] · Gaston Leroux · ss; translated from the French (Notolympe, 1924). Subtitled Incorporating Woman, Best Story, Adventure and Mystery Story Magazines. Details supplied by Alistair Durie from Table of Contents. 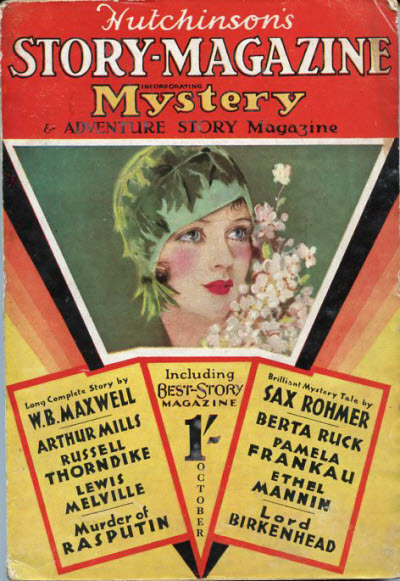 Subtitled Incorporating Woman, Best Story, Adventure and Mystery Story Magazines. Details supplied by Rob Preston.